President-elect Donald Trump still has not held a news conference, a break from tradition that is keeping reporters and the public in the dark about the transition to his administration. 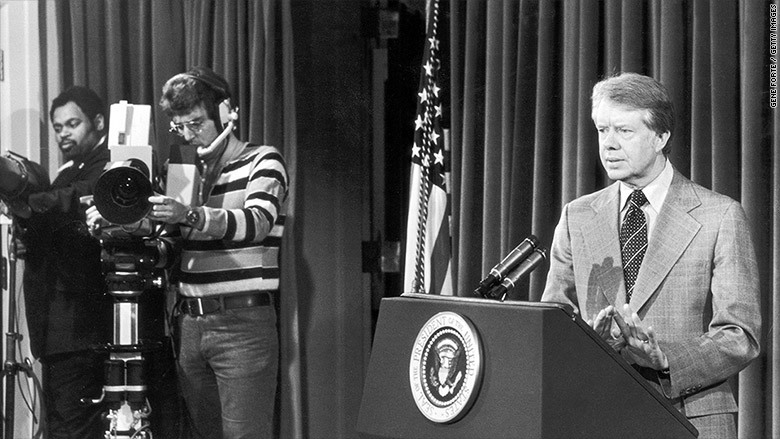 Going back at least to 1976, when Jimmy Carter was elected, no president-elect has waited so long after the election was decided to speak to reporters. Most did it within the first three days. Trump was elected 10 days ago. Aides say the public will not have to wait much longer. 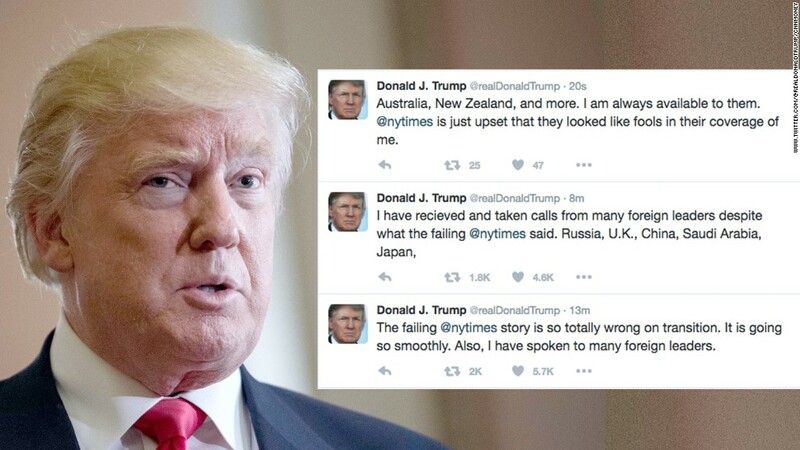 "I'm sure he will do one very soon," Trump spokeswoman Hope Hicks told CNNMoney in an email. "Obviously it would be good to have some news to share as most of the questions will be speculative regarding cabinet appointments, etc., but we look forward to having a news conference in the near future." Trump addressed his supporters late on election night, spoke briefly from the Oval Office with President Barack Obama on Nov. 10, and gave an interview to CBS's "60 Minutes" on Nov. 11. But he has not held a news conference to field questions from other reporters, who would almost certainly ask about reports of a rocky transition, Cabinet appointees and the many potential conflicts of interest posed by Trump's business interests around the world. The president-elect plans to travel to Bedminster, New Jersey, where he owns a golf club, on Friday and spend the weekend there, a spokesman said. In the week and a half since he defeated Hillary Clinton, Trump has shown a willingness to ignore political norms. He has twice traveled without the journalists assigned to cover him. The so-called press pool serves as the public's eyes on the president, monitoring his movements and whereabouts. On Tuesday evening, after Hicks told the journalists there would be no further news or travel for the day, Trump took his family out to eat. Reporters only learned about it when a financial journalist who happened to be in the restaurant tweeted a picture. The White House Correspondents Association called the evasion "unacceptable." In 2012, Obama, who was already in office, gave a news conference eight days after his re-election. And in 1992, President-elect Bill Clinton waited nine days to take questions from reporters. Most presidents-elect in recent history have done so sooner. In 2008, the newly elected Obama called a press conference three days after the election and vowed to "confront this economic crisis head on." 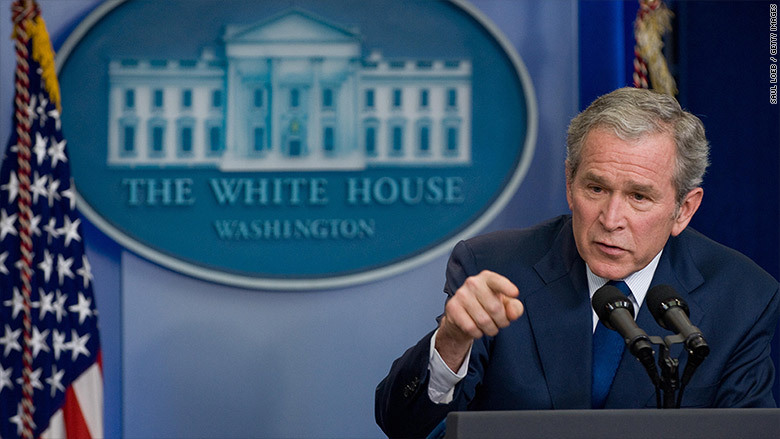 In 2000, President-elect George W. Bush took questions three days after the Supreme Court decided Bush vs. Gore.